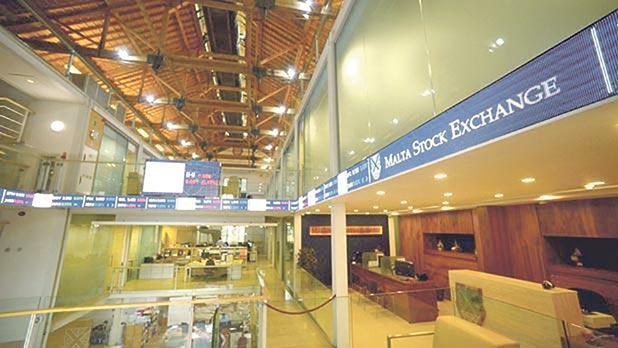 All companies listed on the Regulated Main Market of the Malta Stock Exchange have a financial year ending in December except for five, namely Simonds Farsons Cisk plc, PG plc, Trident Estates plc, MaltaPost plc and Santumas Shareholdings plc. The Listing Rules issued by the Malta Financial Services Authority stipulate that companies must publish their annual financial statements within four months of the year-end period and therefore the next few weeks will be a hectic period with several company announcements being issued. The annual reporting season commences on February 19 with the publication of the financial statements of HSBC Bank Malta plc followed by Malta International Airport plc the day after. Unfortunately, only a few companies have so far announced the dates when their annual financial statements will be published. Therefore, the exact timing of many of these announcements is still uncertain although in most cases many companies tend to keep a similar date as in previous years. Another matter worth highlighting is that some companies opt to first publish a preliminary set of results followed by the complete financial statements at a later date within the stipulated four-month period. This procedure may help some companies to publish their announcement earlier in the year to ensure more timely reporting to their shareholders. Such a procedure should be contemplated by some of the companies who generally publish their financial statements towards the end of the statutory four-month period since it would be of great interest to the investing public for these financial reports to be issued as quickly as possible after the end of the financial period. Ahead of the annual reporting season starting next week, it may be helpful to highlight the key matters of interest that investors should look out for in the upcoming announcements. In the banking sector, all announcements will be of major interest for various reasons. In next week’s announcement by HSBC Bank Malta, investors ought to gauge whether the bank is managing to grow its loan book once again following the various risk management actions taken in recent years. Meanwhile, shareholders will be attentive to the extent of the dividend distribution following the special dividend distribution last year. However, the main focus across the banking sector will undoubtedly be the announcement by Bank of Valletta plc following the sharp decline in the share price since last summer to multi-year lows. The equity dropped in a consistent manner after the bank recognised a €75 million litigation provision and the directors of the bank resolved to suspend dividend payments with respect to the 2018 financial year. Unfortunately, BOV is one of the companies that had not re-instated the publication of Interim Directors’ Statements so the market has no information on the bank’s performance during the third quarter of their financial year. While it would be important to analyse the operating performance of the BOV group, many shareholders will be more interested in an update on the various litigation issues which seem to be growing in number according to recent media reports and whether dividends will remain suspended also for the 2019 financial year. Moreover, following the interview with the bank’s CEO published on August 6, 2018, the market also awaits news regarding the results of the 2018 stress tests conducted by the European Banking Authority. Also in the banking sector, shareholders of Lombard Bank Malta plc will be eager to learn whether the encouraging improvement in the profits generated in the first half of 2018 was sustained in the second half of the financial year. This is also important for the market at large ahead of the offer by the National Development and Social Fund of their sizeable shareholding in Lombard Bank following the announcement issued on November 9, 2018. FIMBank plc had reported a strong upturn in profits in the first six months of 2018 and the bank’s shareholders will be keen to understand whether the turnaround strategy has continued to deliver desired results. Shareholders will also focus on the possibility of any reversal of impairment provisions taken in recent years and the bank’s strategy for achieving further growth and a more attractive return on equity. Given the extent of the information provided throughout the year by Malta International Airport plc including the publication of passenger and financial targets at the start of the calendar year, the main focus of next week’s announcement by the airport operator is on the extent of the final dividend distribution to shareholders. Dividends have been kept unchanged over the past three years but following the significant improvement in the company’s profitability and the repayment of all bank borrowings in the first half of 2018, shareholders will be attentive to any changes in the dividend policy going forward. Similarly, the main focus of GO plc’s announcement on March 8 will undoubtedly be the extent of the dividend distribution as a result of the windfall gain following the very successful IPO of BMIT Technologies plc. GO shareholders should also be on the lookout for the trends in the group’s market share in the various service offerings in both Malta and Cyprus. International Hotel Investments plc’s share price performance has been a major disappointment for shareholders who supported the company at the time of the IPO in 2000. They will eagerly await news on the performances across the Group’s various properties with specific focus on the Corinthia Hotel London and the Golden Sands Resort due to the impact from the weaker British currency. It would also be interesting for IHI to shed further light on the development pipeline of major projects especially in St George’s Bay as a result of the various articles appearing in the local media. In the property sector, the key focus will depend on the main areas of activity of each company. The most interesting aspect of the three commercial property companies, namely Plaza Centres plc, Tigné Mall plc and Main Street Complex plc, is whether these maintained a strong level of occupancy within their properties and whether any property revaluation is warranted in the circumstances. Also, since their business models enable a strong dividend payout, shareholders will be focusing on the extent of the dividend distribution and the strategies that these companies may employ to grow their business further. Malita Investments plc shareholders will be attentive to an update on the Affordable Housing Project as well as the other potential projects the company had indicated when it published its interim financial statements in August 2018. Meanwhile, the shareholders of the property development companies (MIDI plc and Malta Properties Company plc) will await updates on various current developments. MIDI published its financial forecasts in view of its obligations under the Listing Policies and as such investors will monitor whether the company achieved its targets which in 2018 mainly related to the delivery of many of the units within the ‘Q2’ apartment block. The main focus for MIDI shareholders will be on updates related to planning permission for the development of Manoel Island and related discussions with Tumas Group as indicated in the announcement in June 2018 as well as any further developments within the Tigné Point peninsula. Malta Properties Company plc had issued a detailed update to the market at the end of 2018 so the main focus from the investing public will be on whether any further progress has been achieved with respect to the possible acquisition of 91 per cent of the shares in SmartCity (Malta) as well as on the timing of the sale of the St. George’s Exchange. Medserv plc also publishes its financial forecasts due to its obligations as a bond issuer so the market will assess whether the company managed to achieve its financial targets and expects to continue its turnaround strategy following new contracts awarded in various regions. Especially, the minority shareholders of Medserv eagerly await news on the search for a strategic purchaser of the two large shareholders following the announcement in April 2018. RS2 Software plc published an Interim Directors’ Statement last December 17, claiming it successfully penetrated the North American market and that it has a strong business pipeline in Northern Europe and Asia-Pacific region. The market will seek any indications on when this pipeline will translate into an improved financial performance for the company. Following the publication of the annual financial statements, companies must convene their AGM within six months from the end of the financial year. Most AGM’s in Malta take place between April and June. An AGM is an ideal opportunity for shareholders to question directors or senior management to obtain more clarity or additional details regarding key matters or unexpected developments disclosed in upcoming announcements. Larger institutional investors have an additional responsibility in this respect since by replicating the activism exhibited by some institutional investors overseas, they can ensure sufficient information is provided to the market. Institutional investors should also continuously question whether a company’s business model is indeed optimising returns to all shareholders. Rizzo, Farrugia & Co. (Stockbrokers) Ltd, ‘Rizzo Farrugia’, is a member of the Malta Stock Exchange and licensed by the Malta Financial Services Authority. This report has been prepared in accordance with legal requirements. It has not been disclosed to the company/s herein mentioned before its publication. It is based on public information only and is published solely for informational purposes and is not to be construed as a solicitation or an offer to buy or sell any securities or related financial instruments. The author and other relevant persons may not trade in the securities to which this report relates (other than executing unsolicited client orders) until such time as the recipients of this report have had a reasonable opportunity to act thereon. Rizzo Farrugia, its directors, the author of this report, other employees or Rizzo Farrugia on behalf of its clients, have holdings in the securities herein mentioned and may at any time make purchases and/or sales in them as principal or agent, and may also have other business relationships with the company/s. Stock markets are volatile and subject to fluctuations which cannot be reasonably foreseen. Past performance is not necessarily indicative of future results. Neither Rizzo Farrugia, nor any of its directors or employees accept any liability for any loss or damage arising out of the use of all or any part thereof and no representation or warranty is provided in respect of the reliability of the information contained in this report.